Space Jam is a movie that I’m glad to admit is objectively bad, but endlessly fun. Last year, I dedicated an entire week of blog posts to dissecting and debating every silly second of it. We ran through the wackiest moments, theorized about present day Monstars, and even speculated about sequels. But now, the possibility of a sequel is starting to sound like a reality. LeBron James has the acting bug, and per The Hollywood Reporter, Justin Lin of the Fast and Furious franchise may be interested in directing a Space Jam sequel. I wrote thousands and thousands of words about Space Jam last summer. I watched it on a loop as a child. I can quote the entire movie. All of this still doesn’t mean I’d be excited for a sequel. Sure, there are tons of reasons to make this movie (all of them are financial), but so many factors will make Space Jam 2 an uphill climb. Just like in his playing career, LeBron will be in the shadow of Michael Jordan. Remember how LeBron changed numbers from 23 to 6, in a weird mishmash of respect for His Airness and a desire to escape comparisons to Jordan? You know what the exact opposite decision to that is? Making a sequel of the only movie Jordan ever starred in! LeBron has always been surrounded by “yes men” and it really shows here. Think about the history of athletes as actors. Not great? Jordan’s one and only venture co-stars the Looney Tunes. Shaq had a few flubs. Successes are not the norm. LeBron’s performance in Trainwreck was a welcome surprise. If he’s going to waste his time filming a movie during an upcoming offseason, why not continue the hot streak with something fresh, original, interesting, or exciting? Instead, he’ll probably send MJ’s movie through the Xerox machine. They might as well name the sequel Paper Jam. The soundtrack has to be special. 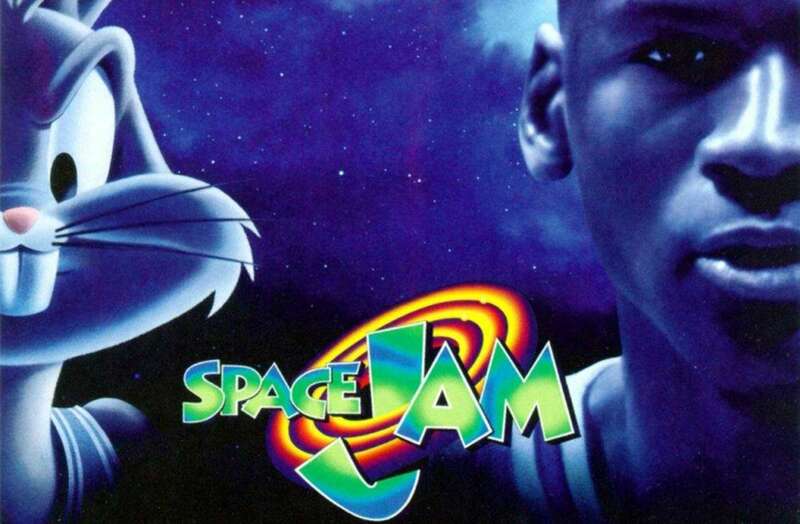 Space Jam‘s soundtrack is as much a part of our fond memories as the movie itself. The soundtrack peaked at #2 on the Billboard charts and features contributions from Jay-Z, Seal, Busta Rhymes, B-Real, Method Man, LL Cool J, D’Angelo, Salt N Pepa, Chris Rock, R Kelly, and the Spin Doctors. In order to recapture the magic of the first movie, a sequel can’t just trot out the same soundtrack again. “Hit Em High” is great and I love the Quad City DJs but they only set the bar. Now the producers would have to match or beat it. Surely LeBron’s name can attract some star power, but just having names on the cover doesn’t guarantee success. Are the Looney Toons even relevant? I mean, I’m not sure the Looney Toons were relevant in 1996 either, but does anyone under the age of 15 even know Bugs and the gang? While the Muppets waste away on a network sitcom, the Looney Toons have been…doing what exactly? I haven’t seen Bugs Bunny anywhere but Space Jam and as a popsicle on my local ice cream truck in about a decade. The first movie made huge money, but the draw may not still be there. Bill Murray will not be involved in a sequel. This isn’t confirmed, though Murray’s involvement seems extremely unlikely. That’s a shame, because Murray kills in Space Jam. He’s legitimately funny every second he’s on screen. For kids, parents, and anyone in between, he’s the glue of that film. Now, that’s not to say Warner Bros. won’t look to surround LeBron with comedic talent. Murray’s role in the film will likely be filled by a modern equivalent and OH MY GOD OH NO ITS GOING TO BE KEVIN HART ISNT IT? OH NO NO NO, I SAID IT AND NOW ITS REAL. MAKE IT STOP! Paper Jam? Oooooof, even I thought that was bad one. I stand by it. I’ll die on that Moron Mountain.